Our Tokyo editors discuss hardships faced by Fukushima’s 136,000 displaced residents and more in this week’s podcast. This week, The Diplomat’s J.T. Quigley and Angela Erika Kubo talk about the Fukushima disaster and how more have died in Fukushima prefecture itself from stress, illness and suicide after the tsunami than those who died as a direct result of it. They also discuss Sony’s deceptively successful PlayStation 4 and Mao Asada’s heartbreaking performance at Sochi. 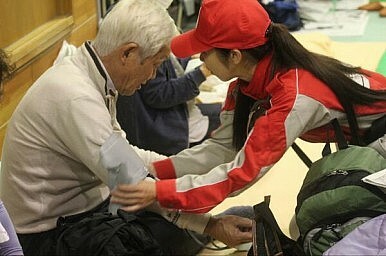 With few willing to risk exposure to radiation, staffing agencies are exploiting unskilled laborers from across Japan.